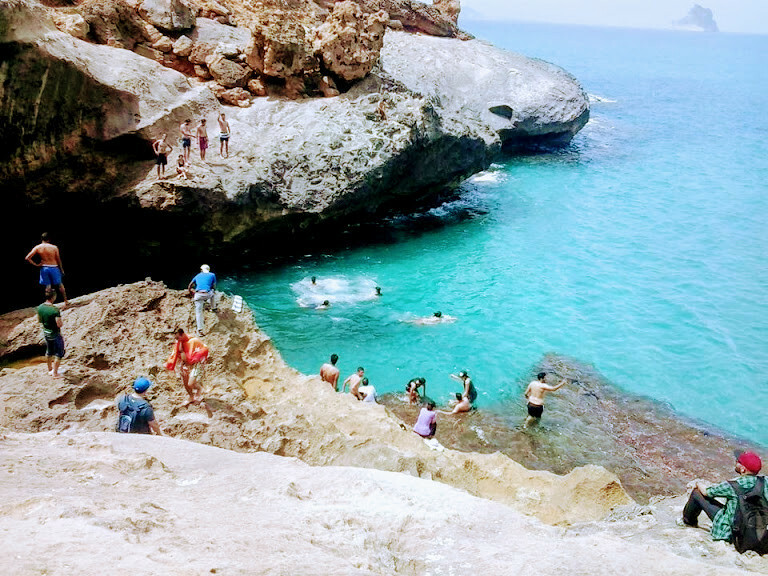 My new adventure was very exciting and beautiful in one of the most wonderful cities in Tunisia called Rafraf in the north of the country exactly in the province of Bizerte. The weather was warm without rain and suitable for big adventures like hiking in the mountain of Rafraf. In the morning, a group of approximatively twenty persons gathered together in the city center of Tunis full of enthusiasm, big energy and joyful feelings to spend the most memorable moments together even though we did not knew each other but a good atmosphere quickly settled between poeple. The cost of such a trip is exactly 10 euros only that is converted into 30 dinars in local currency. At first, we discovered by bus all the north area of the country with amazing landscape of green farms, colourful flowers, butterflies everywhere as it was spring time that i like very much. 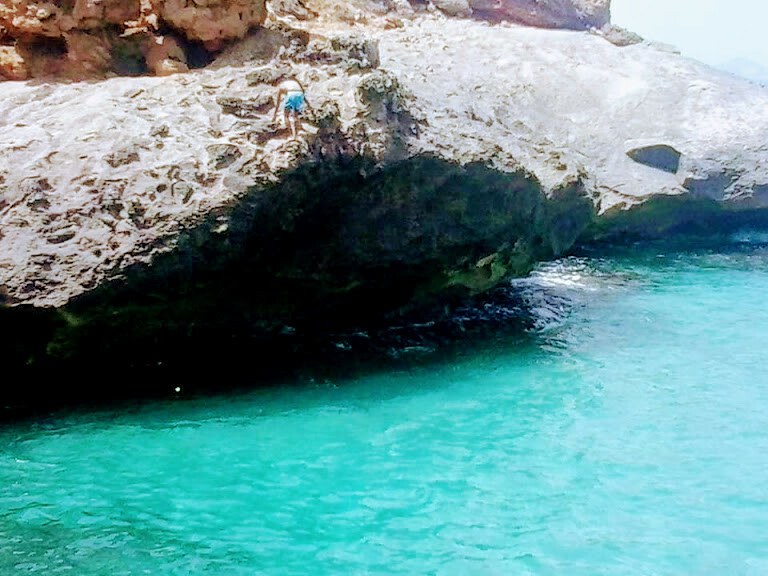 We passed by many cities such as Ariana, Kalaate Al Andalouss, Ghar El Melh, and finally Bizerte that is very popular for its amazingly beautiful sea view and a big rock centering the Mediterranean Sea. Arriving in the city, the bus left us in a place very far from city center near a rocky mountain just in front of the sea, it was the most beautiful view ever we could really feel flying in the air and much distressed. Our hiking trip began and we had to follow a guide to show us the good direction, we followed each other and stopped from time to time to take amazing pictures. Our walk was slow but secure and we had to do a whole tour of fourteen kilometres by feet while taking some time to rest also. 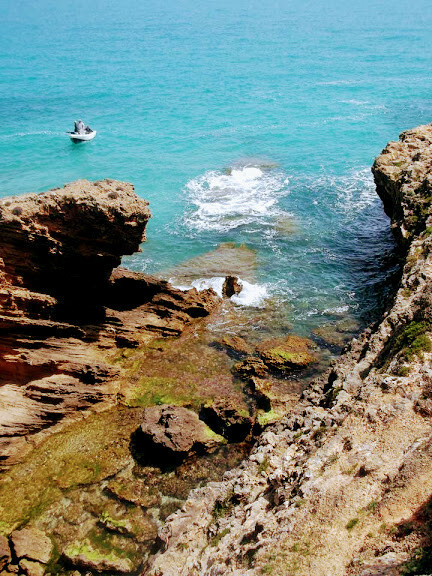 We could distinguish many type of rocks, of natural vegetation, shells and sponges. 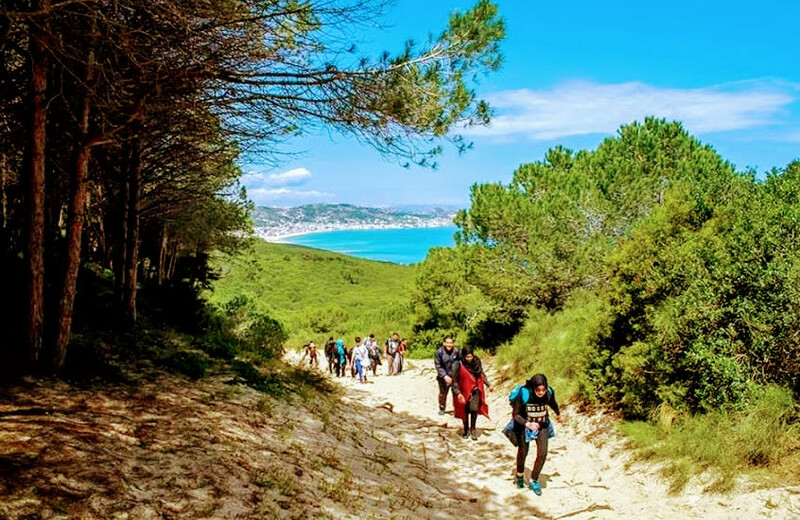 After the first kilometres, the muscles become more contracted by the heat, the sun was also strong but we were refreshed by the wind and the good smell of the sea. We could climb the hill that was composed essentially of sand so every step was a bit tiring. The big rock appeared from far away and centered the sea in a very beautiful landcape between the shadows of the trees decorating the mountain. We choose to do a picnic and have our lunch while resting in complete harmony with nature. All the poeple that were not knowing each other before some hours ago became very fast friends as they exchanged about their personnal experiences, about hiking in the mountains, their feelings about this awesome activity, and its benefits to the mind and the body health. Then we went down the mountain to a place called Cap farina, a deserted natural and hidden place from the public as it was very far from any mean of transportation either by cars or buses, the only way to get in that place was the hiking, it was characterised by caves called the pink caves due to the abundance of coral in a natural source of water coming from the sea but forming a natural swimming pool very deep and with turquoise colour, the same as a post card. Many poeple decided to swim inside this natural source of water and had so much fun climbing all the top of the hill then doing amazing acrobaties in the air before splasing into cold water. My friend and me decided to try to swim inside water and what an amazing experience it was !! As the temperature of water was so cold so the ability of our bodies to adapt was a bit slow, the water was so clear, pure, with amazing colour, it was the paradise in earth... the wind made us a bit cold but we were so much having fun with friends that we forgot the actual state of weather. We did not hesitate to do also acrobaties and the feeling of throwing ourselves from the highest point gave us many amazing feelings, a pure adrenaline. We could also reach the beach by swimming since it was not so far from the cave place, but it was really a place not known from the public which made it be even more unique in our point of view. Then we dried in the light of sun and continued our trip to reach the place of the bus. Arriving there we discovered that one man of the group was suddenly missing, it is actually one of the bad misadventure that can happen when poeple does not follow the guide, we were worried about the state of this person, and many poeple began to search, to yell by his name everywhere, nothing...after twenty minutes finally we found him lost and a bit dizzy, actually he felt a bit sick and stayed to rest all by himself, fortunateny and by chance we could notice his absence very fast and helped him in the exact needed time. This content has been entered in the Erasmus Travellers Competition and have earned 546 points.